Thread: Greatest Polish contribution(s) to the world ? Poland is a big country and therefore surely deserves its own thread in the series of "greatest contributions to the world". But I admit that Poland isn't a country I know very well, so before posting a poll (no pun intended) I would like to ask Eupedia members their ideas. On top of my mind, the most famous and influential Pole in history would be Nicholas Copernicus, who was the first to come with a scientific model of heliocentric cosmology, a milestone in the history of Western science. I have a hard time thinking about Polish inventions or ideas that are still in use and are significant for a major part of the world population today. But as I said, it is a country that I don't know very well. I am waiting for your suggestions. I have found this Timeline of Polish science and technology. Most of these inventions are military though, and mostly outdated or of no use for ordinary people in everyday life. Yes, I know Frédéric Chopin. I had also thought of Marie Curie. (note that both Chopin and Curie became French citizens and did most of their work in France). But they are merely famous Poles, not properly speaking Polish contributions to the world. 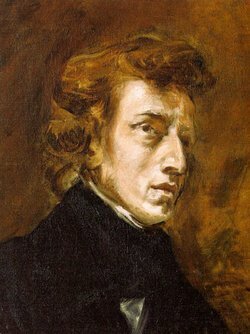 Chopin is a famous classical composer, but he is just one among many, in a genre heavily dominated by German speakers (which is why I listed classical music as a German contribution to the world). Curie's achievements (the theory of radioactivity, or the discovery of polonium and radium) could count, but they are not tangible contributions to everyday life, like say the invention of paper or concrete, the development of an international language like Latin or English, the manufacture of some of the world's best cars or electronics, the production of world renown foods (like cheese or beer or chocolate), the dominance of a particular artistic genre, the development of major economic systems (like (mercantilism, free trade, capitalism, liberalism), or else the entertainment of the global population with Hollywood, rock-n-roll or manga comic books. I would like to find contributions in those lines, even if more modest. For example, Denmark is too small a country to rival Britain, France or Germany in accomplishments, but the Danes gave us Lego, which are enjoyed by children the world over. However, "pure Polish inventions that went to the World", I have to investigate more. But we have to take into account that many of the famous Polish flowrished outside of Poland proper, precisely because a most haphazard existance of Poland, and the opresion they suffered along their History (and sometime the disapearing Poland from the map). I will keep on looking, now that I know what are you searching in specific. Can 'Solidarność' be counted as contribution to the world? It actually was the greatest Polish contribution in recent years! Otherwise I would have also listed Copernicus, Curie and Chopin. There is no shortage of renowned Polish scientists or artists, as attested by the list on Wikipedia in link above. Whether they are famous outside Poland or Slavic countries is another matter. Interestingly, there is a sizeable number of Poles who achieved fame abroad, mostly in the USA and France. One of my favourite Poles in history is Bronisław Malinowski, father of modern anthropology, who incidentally lived and worked most of his adult life in Germany, England and the USA (apart from his fieldwork in Papua). Perhaps it is because Poland was occupied by foreign powers (Russia, Germany, Sweden, Austria-Hungary) during most of its history that Poles did their best work abroad, and also consequently left Poland itself with less contributions that have influenced other countries (as Poles had to leave their own culture behind after emigrating). It may be important for Poland, but how does that help/influence/please people in other countries ? You can hardly imagine a German market without a Polish sausage stand. Polish sausages, like Krakower, are very popular here. However I doubt that this also counts for other European countries. I just googled for 'Polka', but even this wasn't invented in Poland, but in Czech Republic. The "Dönner" could also be counted in the same manner? One of my favourite Poles in history is Bronisław Malinowski, father of modern anthropology, who incidentally lived and worked most of his adult life in Germany, England and the USA (apart from his fieldwork in Papua). Yes, I also like him. And his work inspired generations of anthropologists and psychologist (e.g. the work of Wilhelm Reich "Der Einbruch der sexuellen Zwangsmoral" is based strongly in his works). There were many other uprisings in other countries of the Communist Bloc. Basically every country that is not Russia today revolted against Soviet rule, even members of the USSR. I think that the Czech and Hungarians played the foremost role in the demise of the Warsaw Pact. It might be common in Berlin or East Germany, but I can't remember seeing Polish sausages in Rhineland (where I go once in a while, including markets). Like with Chopin and classical music, it isn't Poland who has influenced Germany but the other way round. The uprisings in Czech Republic and Hungary were much earlier. But the uprising in Poland was the ignition of an unrest in the early 80's that never really calmed down again and finally ended in the collapse of the USSR and German unification. But anyways this might seem a little far fetched. Not quite. I was born and grew up in a small town near Mainz (Mayence) at the Rhine. I remember every friday a big van came a long in our street that sold Polish sausages and people stood in queues infront of it. I have to admit, it was an area highly inhabited by descendands of Volga Germans, who actually still lived their Russian culture. The same van sold it's products at the weekly market and I could see the same at any other town markets with similiar Polish sausage vendors. When I moved to Berlin nothing changed in that respect. Difference in East Germany is that East European meals prepared out of East European products (like Soljanka, Borscht etc...) are by far more common and popular than in West Germany. But I'm getting off-topic now. It influenced millions of people all across Europe to revolt against authoritarian regimes. I'm pretty sure Poles were the ones who inspired Germans to resist Honecker's tyranny. Now that's what I really call a contribution to the world! 2) "Uprising" - about Warsaw Uprising in 1944. PS. It's quite clear that anti-soviet revolution in Europe began in Poland. Hi Orchid, glad you want to contribute here, but I think you didn't get the topic right. LeBrok, I chose the right topic and I know that I made some kind of offtopic in my previous message, but I hope you'll forgive ;) . I just wanted to say that it's nice to know you remember about Poland's contributions to Europe. Ignacy Łukasiewicz was the inventor of the kerosone lamp and the man behind the first Oil Rafinery in the world (located near Jasło, Galicia) effectively laying foundations for the world's oil industry. It would be interesting if someone could explain why some languages go toward simplicity like English, and some go into extreme complexity like Polish? As for English being simple, it is probably because you are fluent. English is very flexible, which is both a blessing and a curse (who hasn't read a phrase, knowing all the single words, and unable to make sense of it? ), and the learning process can be challenging (opposition short/long vowels, sounds with several spellings, irregular verbs...). As for the greatest Polish contribution to the world, I'd vote for Polish women, who are mind-blowingly beautiful. No,no, Cimmerianbloke, the best polish contribution to the world is ME. Should I said "I"? Have fun at the course! Polish king Jan III Sobieski rescued Viena during the 1683 siege of the Ottomans and therefore, if you believe most historians, saved Christian Europe from an Ottoman conquest. This is surely something that might be on the list.